Asked to explain what makes Shoreland feel like a family, and she says it is all about attitude. When Sharon attended the local public school she had the same outlook about school as her peers. “Over there, you go to school, and that’s it,” she explains, adding that she and her young friends really didn’t take school seriously. Having that opportunity to mix academics, spirituality and life has a way of just pulling students closer. To discuss those kinds of issues that are important, makes relationships mean more, she suggests. Into her third year in high school, Sharon thinks she is doing pretty well. Math is her strong suit. She would like to take pre-calculus next year. She struggles with history. “I feel we really didn’t get a good history foundation in middle or elementary school. Everything seemed to focus on culture, and not on what happened. We studied the Incas and the Mayans, but that’s about all I remember. So, history is a challenge,” she says. With the ACT college entrance test looming and the last year and a half before her, Sharon is considering what she might like to be after high school. Initially, she thought about studying law, but is now considering becoming a translator of some sort. Sharon is bilingual. She also imagines that the University of Wisconsin-Parkside might be the place for her to begin post-secondary studies. It’s affordable and close to home. Aside from the usual core of academic subjects, Shoreland has provided a way for Sharon to explore other interests and aptitudes. Through a special arrangement, she is able to take piano lessons during study hall with Mrs. Lowrey, something she has done since freshman year. She is currently practicing for a piano concert and competition. Sharon is progressing quite nicely, says Lowrey, as they tease each other a bit about Sharon’s modesty regarding her progress. 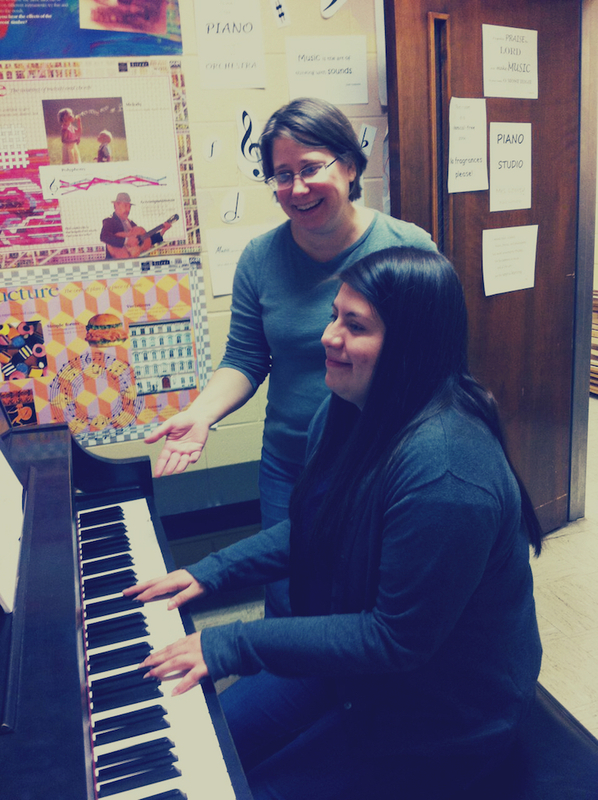 There is something different about students who choose to take private piano lessons at the school, Lowrey adds. They don’t get academic credit for it, so it’s something that they must be motivated to do on their own, which demands a certain kind of maturity, a maturity that Lowrey sees in Sharon. “She is just always energetic and happy,” says Lowrey, who has noticed something else through the three years that Sharon has been at Shoreland — her drive and her growth in personal and life skills have blossomed. “She is the highlight of my week,” adds Lowrey.